During fashion week, I must have stomped the cross walk that bridges the Empire Hotel to Lincoln Center more than a dozen times. But the walks are far from monotonous as each step draws out the unfolding of the evolving fashion menagerie. 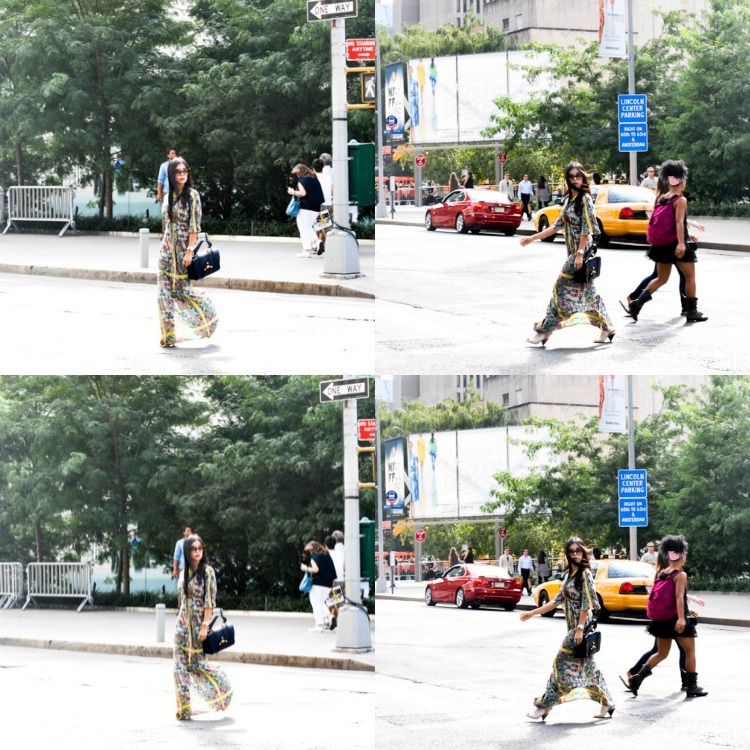 A collage of street style surrounds the perimeters of Lincoln Center as the space is inhabited by fashion mavens, ingenues, veterans, and victims. Some are there to see the shows, others have gathered to be seen by fashion photogs. Regardless of whether one's destination is in or outside the tents, a common thread binds us together. We're there to discover, discuss, and promulgate fashion. After all, in its very essence, street style is grassroots fashion. you look stunning!! gorgeous photos. I was never a fan of maxi dresses because most of them looked too boring or overwhelming to me. It felt like it was too much of the same thing. Until i saw this maxi dress and it changed me! Now i'm actually going to give maxi dresses a chance....And this is why you are my favorite LA blogger. Thank you for opening up my eyes to the idea that maxi dresses can be so chic!